The definitive guide to one of the world's best known firearms makers. This fascinating book provides a detailed history of one of the most famous, and controversial, firearms manufacturers, and its products. Smith & Wesson was founded in 1852 by two men, Horace Smith and Daniel B. Wesson who shared a dream of developing a new type of firearm, one capable of being fired repeatedly without the annoyance of having to reload with loose powder, ball, and primer. Their ideas moved firearms manufacturing out of the muzzleloading era that had dominated the industry since the invention of the hand cannon in the 14th century. Since then, the company has produced countless pistols and revolvers that have become standard issue to police and armed forces throughout the world, and which have also been used by sport shooters and criminals. In addition, these famous firearms have been featured in several sensational Hollywood movies, including Dirty Harry. Complete with more than 200 full-color photographs, this stunning book describes the range of Smith & Wesson firearms in detail, and features cutaway drawings to show the mechanisms, along with detailed technical evaluations. As well as being of interest to enthusiasts and historians, it will be an excellent reference work and an invaluable guide for collectors. 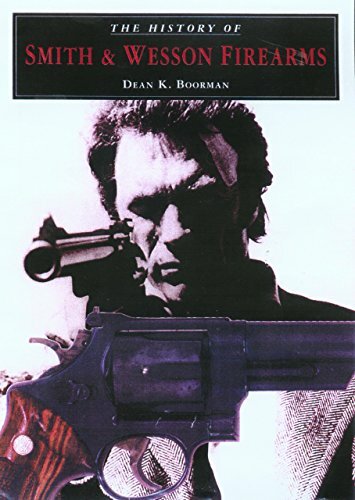 It is part of a series of books on famous firearms by the same author, which includes The History of Colt Firearms and The History of Winchester Firearms.